SPARK is a learning culture and invigorating environment animated by curiosity, inquiry, imagination and thoughtful expression, where children of all ages are empowered to discover, explore and pursue their interests and develop themselves to their full potential. SPARK is committed to creating and sustaining a culture and a place where a child’s intrinsic motivations, inherent skills and interests, family life and experiences, are recognized and celebrated. 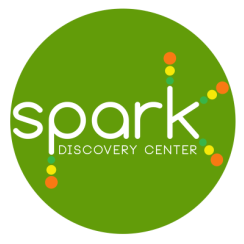 SPARK aims to work together with innovative professionals, involved family, and expert members in the community to provide children a range of resources, mediums and various platforms for their explorations and expressions, in their art, their stories, their music and movement, their play. SPARK ensures that your child’s questions and leads are encouraged; and their capacities to spark new ideas are nurtured, and that their curiosities are constantly ignited and their ideas are explored and pursued. SPARK is committed to providing children with learning experiences and opportunities that prepare them beyond the classroom, for the future, in a dynamic and ever-changing world.